Welcome to our first science blog post. I am Dr Samantha Oates, a postdoctoral researcher at MSSL, investigating what we can learn about Gamma-ray Bursts (GRBs) from their X-ray and optical/UV afterglow emission. As our first science post, I shall introduce you to these enigmatic events, why and how we study them, and what we do at MSSL as part of the NASA Swift team. GRBs are the most extreme explosions in the known Universe. These events release as much as 1055 erg within a few seconds in the form of gamma-rays. This is significantly more energy than the Sun contains and releases over its entire lifetime (~11 billion years). The duration of this prompt gamma-ray emission roughly divides GRBs into long (>2 seconds) and short (<2 seconds) classes. 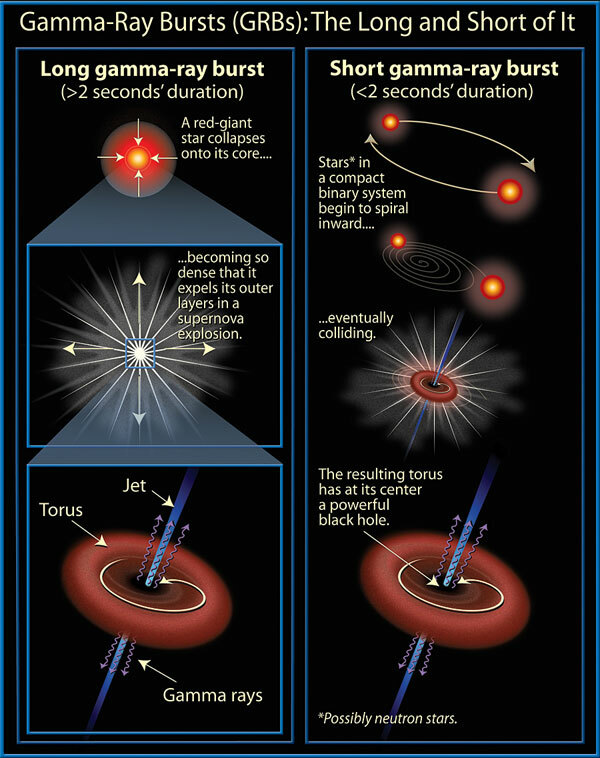 The long GRBs are associated with the deaths of massive stars, while the short GRBs are associated with the merger of two compact objects, such as Neutron Stars or a Neutron star and a Black Hole (see Fig 1). GRBs appear to occur randomly throughout time and space. 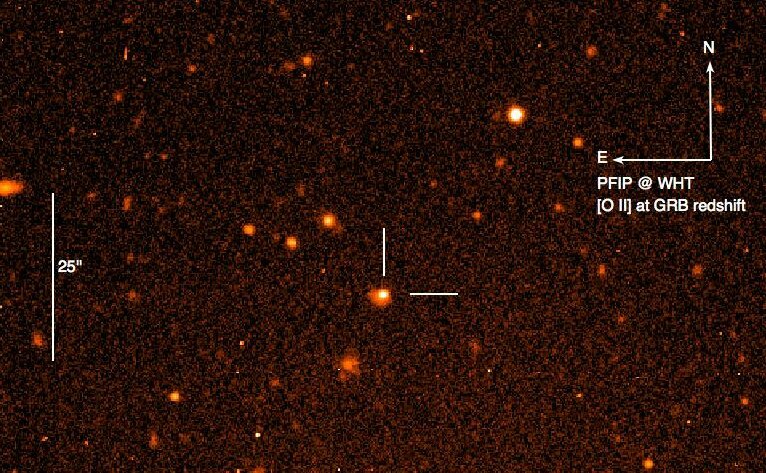 The furthest detected so far is at redshift 9.4, approximately 13.14 billion years ago (Cucchiara, et al., 2011, ApJ, 736, 7), when the Universe was about 5% of its present age. During a GRB, relativistic jets, moving at 99.999% of the speed of light, are produced and a black hole is formed. Both these features are extreme situations that cannot be reproduced on Earth. GRBs thus enable us to examine processes that cannot be studied under laboratory conditions and enable us to test our understanding of physics. GRBs can also help us to understand the formation and structure of matter in the Universe. 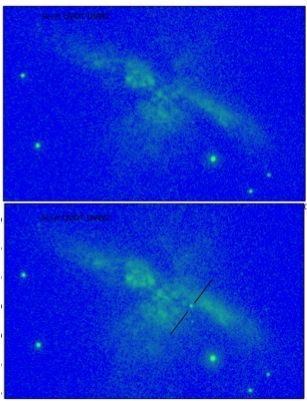 Because long GRBs signify the deaths of massive short-lived stars, they are thought to trace where stars form in the Universe. And as they can be observed over almost all cosmic time, they can be used to probe star formation, from the present through to the earliest times, even, in principle, before the first galaxies formed. Being able to detect them over cosmic history means we can also use them as standard candles to probe the expansion history of the Universe. 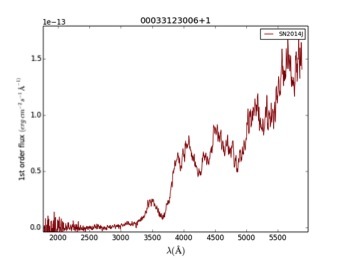 In particular, long GRBs can be used to extend the Hubble diagram (distance versus redshift) beyond the limit of Type Ia supernovae (the Noble prize in Physics was awarded in 2011 for research using the Hubble Diagram and Type Ia supernovae). Another exciting prospect is that short GRBs could be the first sources for which gravitational waves are detected and confirmed. What do we use to observe GRBs? The unpredictability and the rapid fading nature of GRBs means that specialized instruments are necessary to detect and observe these spectacular events. Here at MSSL, we are involved in NASA’s Swift satellite, a GRB dedicated mission, designed to catch GRBs on the fly. Swift’s wide field detector (the Burst Alert Telescope; BAT) views ~1/6th of the sky for the prompt gamma-ray signal. Upon detection, Swift stops looking at its present target, and within a few tens of seconds has slewed to point its two narrow field instruments at the location of the GRB. These instruments, the X-ray Telescope (XRT) and the Ultra-violet Optical Telescope (UVOT), then observe the accompanying afterglow at X-ray and optical/UV wavelengths. 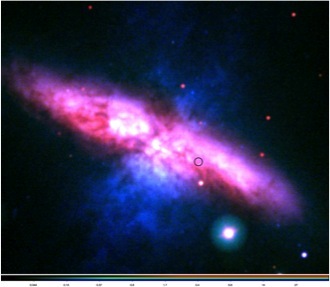 The X-ray and optical/UV emission may be observed typically for a few hours to days after the prompt gamma-rays, and, in a small number of cases, up to several weeks. Swift detects on average 2 bursts per week. 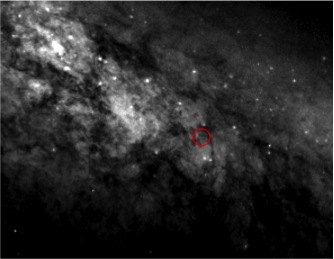 The rest of the time Swift performs a set of pre-planned observations, or follows targets of opportunity requested by the astronomical community. What is MSSL’s involvement in Swift? The UK has had direct involvement with the design and construction of the both the XRT, at the University of Leicester, and the UVOT here at MSSL. MSSL therefore has a responsibility to help calibrate the UVOT and to provide mission support. Part of that support involves analyzing the UVOT data following a GRB and also becoming “Burst Advocates“. A Burst Advocate is required to report on observations of a GRB made by Swift and other telescopes at the Swift daily planning meeting so that the operations team know whether to continue observing. At MSSL, our responsibility is to analyze UVOT data for GRBs occurring every other week and for one week in ten to be on-call as Burst Advocates. How do we Chase GRBs? Swift has detected over 700 GRBs, since launch in November 2004, and has so far been a very successful and productive mission both for the GRB community and the astronomical community in general. At MSSL, we hope there are many more productive years for Swift to come.